Our brand-new facility opened in January 2014. 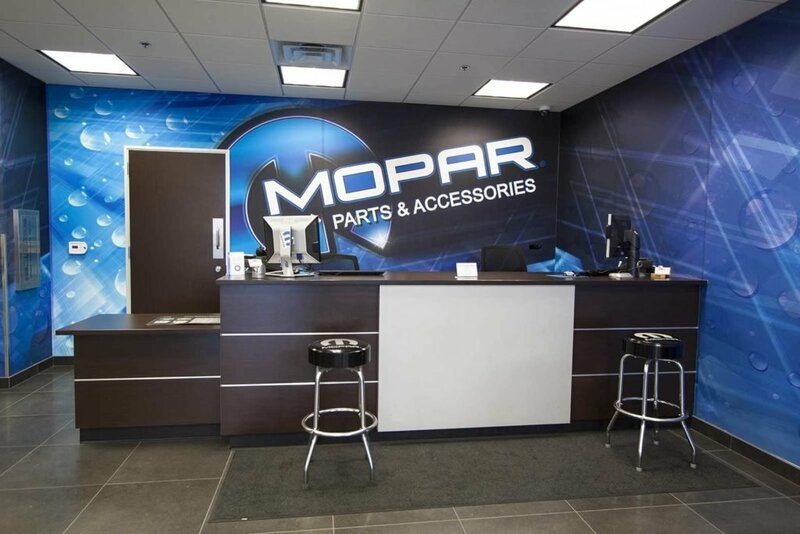 Jack Powell Chrysler Dodge Jeep Ram, a family business in its 3rd generation, now includes over 3,000 square feet of expanded showroom and customer service areas, children’s play room, coffee and refreshment area, Mopar Speed Shop and much more. Stop by for a visit and we will show you around! Jack Powell Sr. began his automobile career as a Dodge dealer in Dearborn, Michigan in 1933 as the owner of Jack Powell Motors. 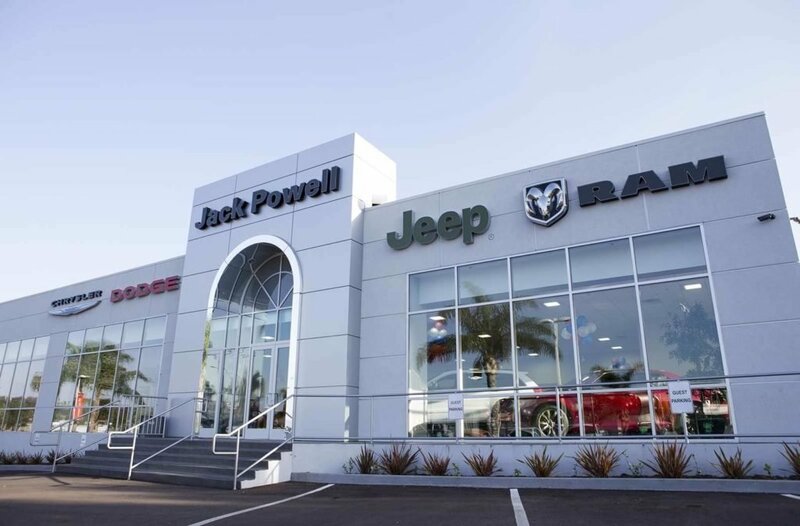 After 19 years there, the Powell family moved to California where in 1958 Jack Sr. opened Jack Powell DeSoto-Plymouth at 4th and Escondido Boulevard in Escondido. We proudly serve drivers across San Diego, Carlsbad, San Marcos, Vista and beyond. 1971 was the year that Jack Powell, Jr. entered the family business. 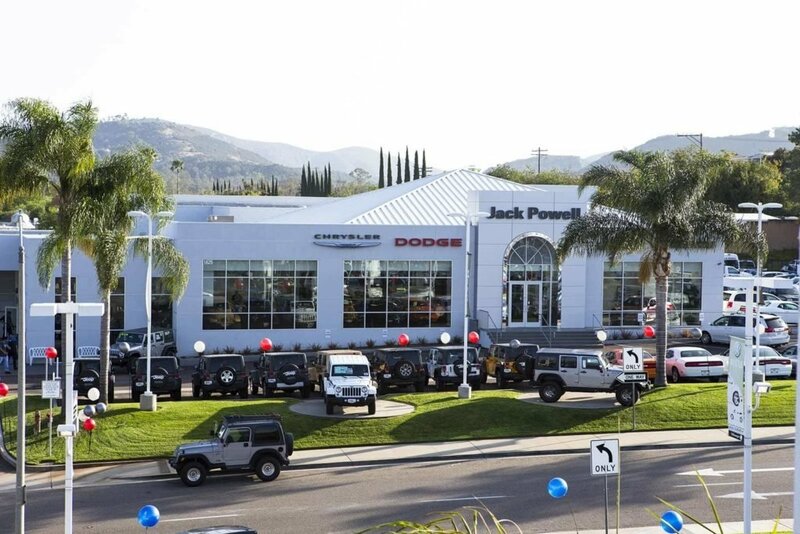 A graduate of the University of Southern California and of the Chrysler Dealer Candidate School, Jack gradually learned the business from each department’s entry position. By 1976 the senior Powell had fully retired, Jack Jr. had purchased the business from his father, and Jack Powell Chrysler-Plymouth had weathered the Arab Oil Embargo. In 1982, an opportunity opened for Jack to buy the competing Dodge dealership. During this era, all of the auto dealerships in Escondido were scattered around the downtown area of Escondido. With an eye to the future, Jack Powell, Jr. and four other dealers purchased the land and developed what was to become the Escondido Auto Park. 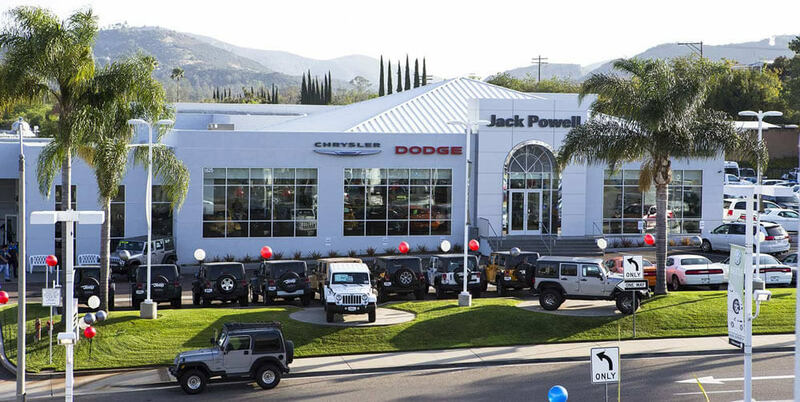 It was 1987 when Jack Powell merged the two downtown dealerships and moved into the Escondido Auto Park. In 2003 Jack’s son and daughter, Jasen and Jasmine Powell joined the family business, now into its third generation. 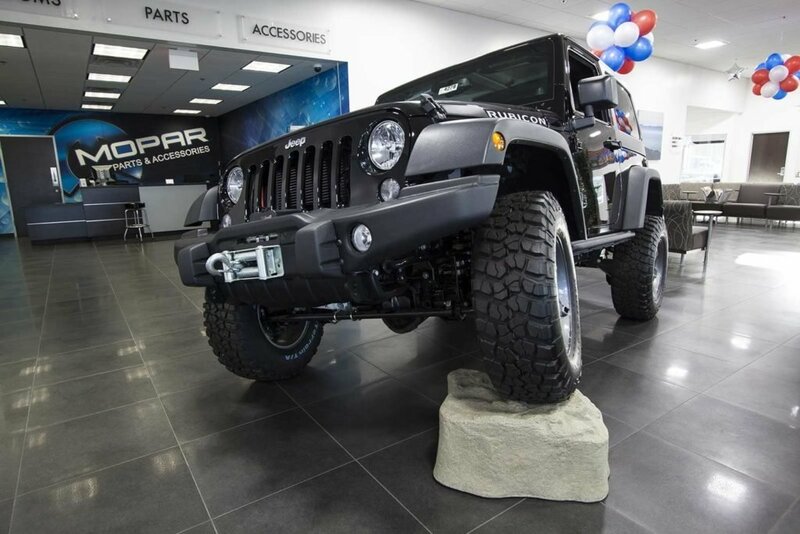 As the current owners and operators of the dealership, Jasen and Jasmine acquired the Jeep Franchise in 2009. Following this important addition, the two spent four years planning the complete remodel of the facility, which celebrated its Grand Opening in 2014. 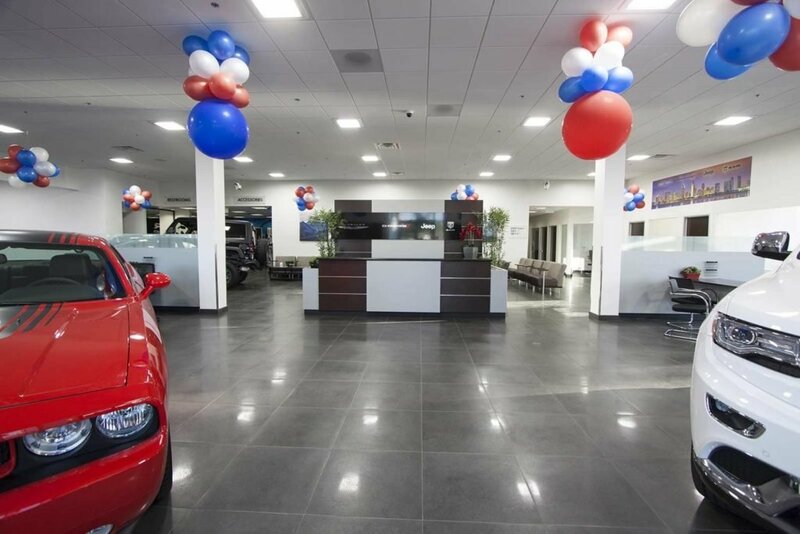 The family now hopes to continue to serve North County residents with exceptional service in selling new and used cars, and in car parts and service. The Express Lane boosts inexpensive oil, lube and filter changes done in less than 30 minutes as well as quick brake and tire rotations. 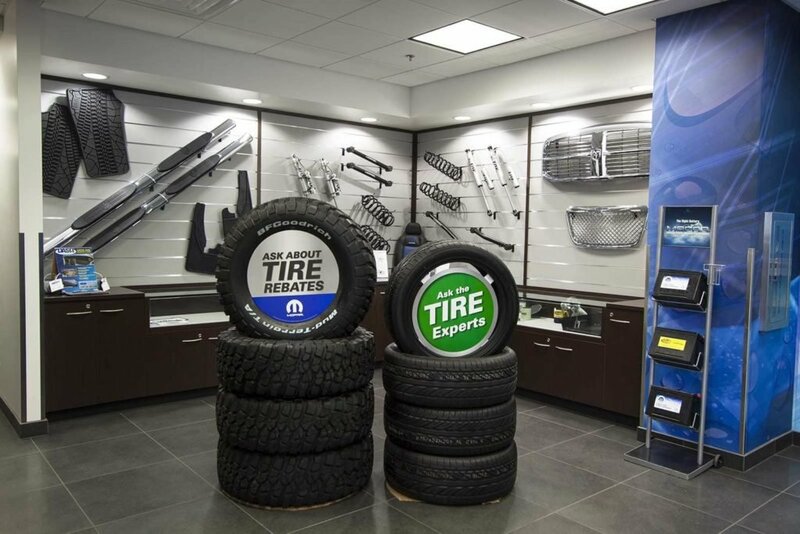 The <href=”/parts-accessories/”>car parts department is one of the largest in the county and will provide you a speedy repair experience. 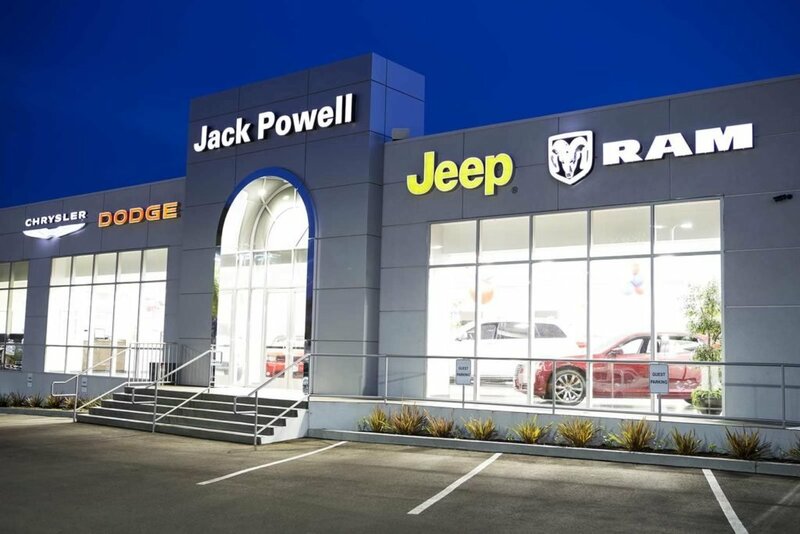 Jack Powell Chrysler Dodge Jeep Ram is a major contributor to many local and national charities and a member of various local, state and national associations dedicated to the automobile industry. 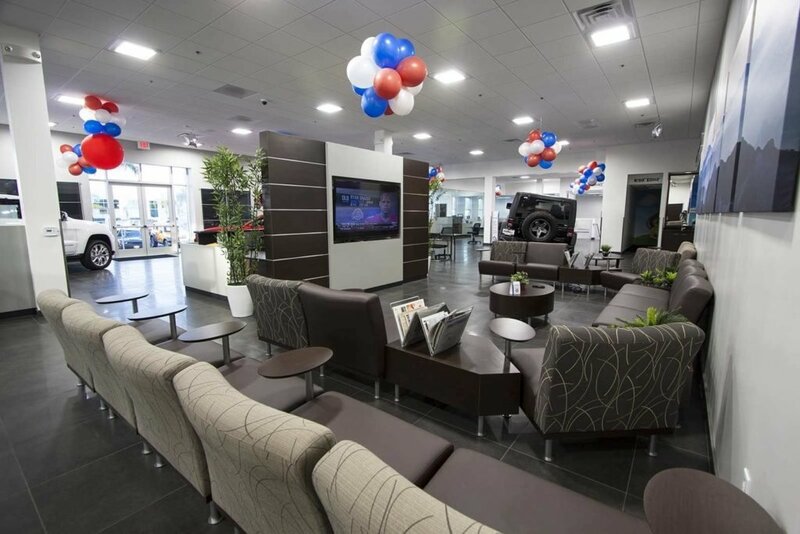 Spanning there generations of ownership, we are constantly striving for continuous improvement in all of the areas of this dealership.